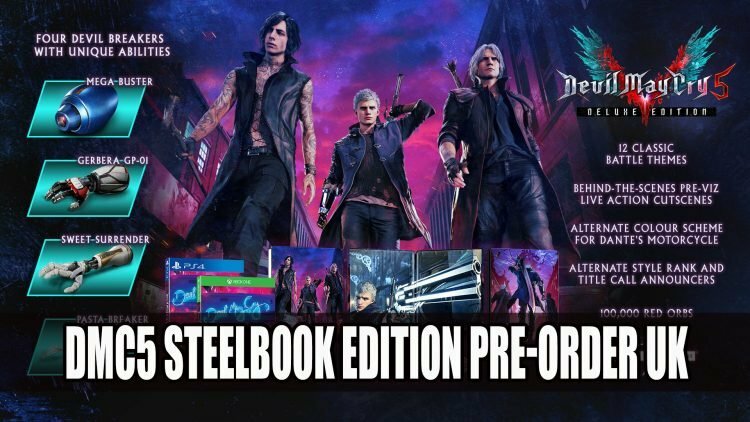 If you’re planning to get the special Devil May Cry 5 Deluxe Steelbook Edition in the UK you will be only able to purchase it from Game.co.uk or GAME store. The store will be the only place to buy the Devil May Cry 5 Steelbook Edition, whether online at Game.co.uk or GAME stores in the UK. The edition is priced at £54.99, platforms include Playstation 4 and Xbox One version. 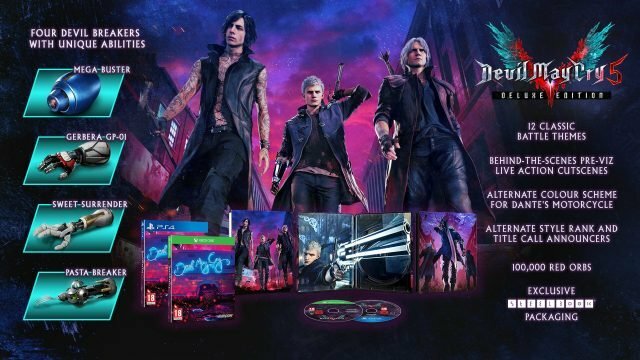 Devil May Cry 5 Steelbook Edition comes with 12 classic battle themes, behind the scenes pre-viz live action cutscenes, alternate colour scheme for Dante’s motorcycle, alternate style rank and title call announcers, 100,000 Red Orbs and exclusive steelbook packaging. Devil May Cry 5 the latest entry in the series which will be coming to PS4, PC and Xbox One on March 8th 2019 and is now available to pre-order. You can also check out the collector’s edition which is available to pre-order on Amazon. If you enjoyed this news be sure to read about the upcoming Devil May Cry Animated Netflix Series as well as some gameplay we experienced at Gamescom 2018. You should also read Devil May Cry 5 Lets You Use Mega Man’s Legendary Mega Buster.